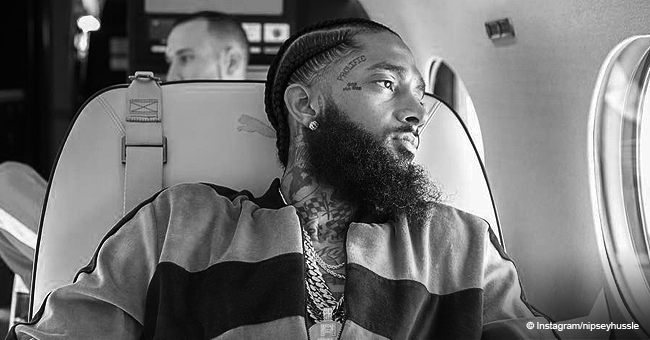 The Los Angeles Police Department has denied rumors that it was their officers who made insulting remarks about Nipsey Hussle's parents, but they've already received strong backlash. According to the Blast, the LAPD is still investigating details of the audio heard via a radio exchange that took place during Nipsey Hussle's memorial service on Thursday. There are reports to the contrary about the clip which a Los Angeles father uploaded. He said it was attained through his son's walkie-talkie. In the clip, one man is heard saying, "Nipsey Hussle's mom looks a lot like a male" while another adds, "Wow. Dad looks a lot like a female so go figure." The clip contains other expletives as the two men express frustration with the funeral and its attendees. Rapper The Game responded by calling out the LAPD. He acknowledged that he is not totally sure it is the LAPD but still spoke harshly against the police. "Audio of what seems to be LAPD officers intercepted on police radio & caught disrespecting Nip's parents, his homegoing & celebration SMFH." "Then y'all stupid motha[expletive] wonder why nobody has faith in the legal system or this corrupt police force/government. This [expletive] is disgusting & the voices in this video if they are in fact police officers should be recognized by other officers & they should be brought to the light !!!! Protect & serve right ??!!?!? [Expletive] outta here !!!" He went on to praise Hussle's mother and said he felt obliged to use his platform. He urged people to not to turn the other cheek but to call for the officers' badges to be stripped. He discouraged violence in his post but said the insults were "unacceptable." "We can assure you we looked into it, and by all indications, this is not an LAPD radio broadcast based on several factors, one of them being that we use digital frequencies that can not be intercepted using a child's toy walkie talkie, and this does not appear to be a digital frequency." Instead, they said the audio is analog. Furthermore, the persons on the tape spoke in a different manner than how their officers typically speak. 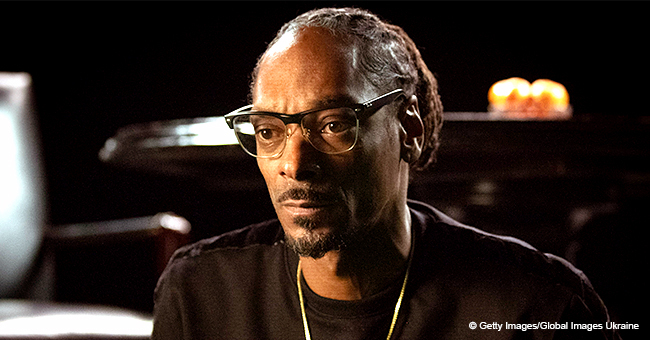 TMZ reported that the investigation will not be taken further, contrary to other outlets. Hussle was working with Roc Nation and the two were reportedly scheduled to have a meeting with the LAPD. 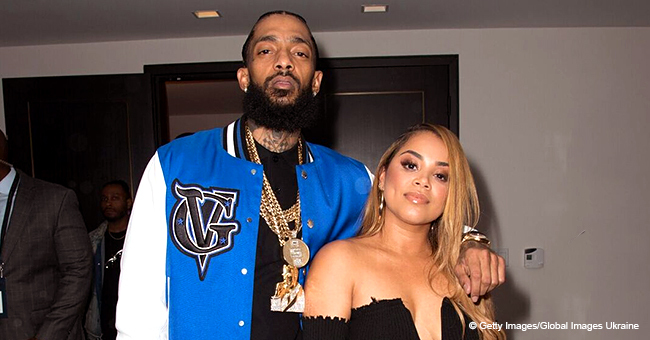 Hussle's untimely death stopped it, but Police Commissioner Steve Soboroff is still hoping to have the meeting with Hussle's family after they have grieved their loss. 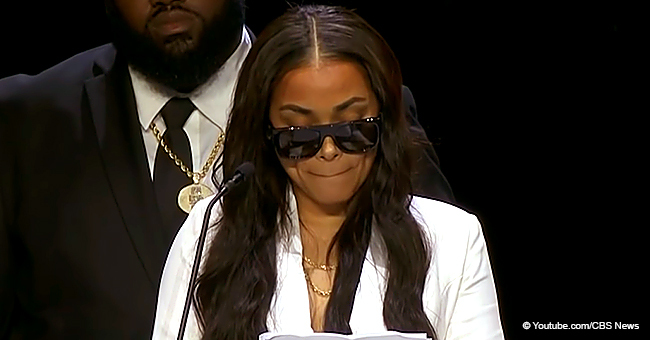 Hussle's mother Angelique Smith and his father Dawit Asghedom were present together onstage during the three-hour long memorial service which took place at the Staples Center in Los Angeles on Thursday morning. 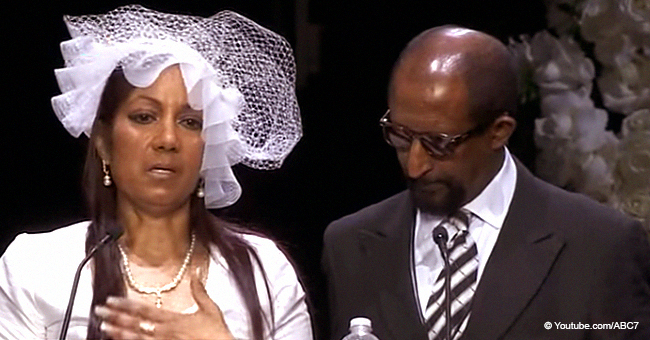 Looking beautiful, Smith spoke about how she somehow felt her son's death coming weeks before he died on March 31. Hussle was shot in front of his clothing store "The Marathon." Smith described a feeling she had which she suspected her son had too. She said he began texting her a lot more. "I felt spiritually in my soul as if Ermias was going to leave. We had closure conversations through text messaging with one another," Smith explained. The grieving mother said she did not sleep in the two weeks leading up to her son's death. When it happened, she was not shocked. She told the attendees she was now "at perfect peace." Smith described her son as "a great man" who she was "very proud of." At just 33, Hussle was an advocate for his community and well known by many despite the gang divisions. People are now uniting in his name and to honor his legacy.